UKayed ® Silk Skin Hair Removal enables you to remove unwanted hair and get silky soft skin without any pain or discomfort plus exfoliating at the same time! Its gentle buffing action removes hair giving your skin an invigorating boost and bringing back a healthy natural, youthful glow to your skin. 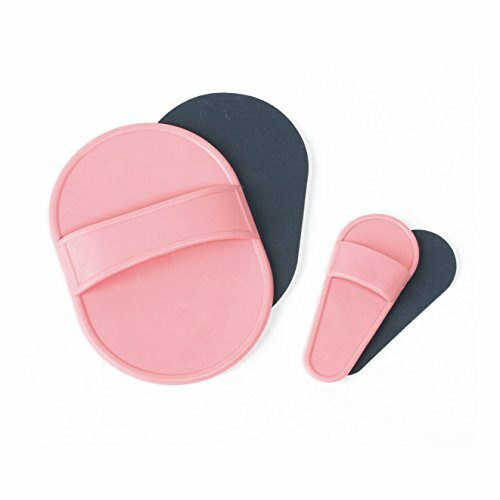 By moving the pad in a circular motion over clean dry skin, you can gently buff away unwanted hair quickly and easily, without any mess. Use the large Smoother Skin depilator on larger areas such as legs, arms, underarms, back and chest Use the small Silk Skin depilator on delicate areas such as the chin, upper lip, bikini line, fingers and toes. Forget painful waxing and harsh shaving - Smooth Skin is the painfree alternative for Hair Removal, keeping your skin hair free for up to 3 weeks - without any preparation time or clean up afterwards The Silk Hair Removal Pads Skin's surface is delicate enough to not damage skin, but powerful enough to banish even the toughest hair. Unlike waxing, Silk Skin is pain free and there is no need for any preparation time or cleaning up afterwards.You can carry it with you in your handbag or take it on holiday. Each Silk Skin Pad is washable and re-useable and dependant on hair thickness and usage, can last you up to 3 months.